The April 29, 2015 news of a fatal shark attack off of Makena on the island of Maui brought attention to shark attacks across the globe and in Hawaii. The victim was a 65-year-old woman whose body was found approximately 200 yards off-shore. News of shark attacks tends to make headlines in many major newspapers and in the broadcast media. Any negative publicity is a concern to Hawaii's tourist industry, which is so dependent on visitors for its economic health. Learn the facts about shark attacks in Hawaii and what you can do to reduce the risk of being attacked. What Is the Likelihood of Being Attacked by a Shark in the Waters of Hawaii? Shark attacks in Hawaii are relatively rare. As of June 30, 2016, there have been just four attacks in Hawaii with only three injuries. In 2015, almost 8 million visitors came to the islands, and there were 10 shark attacks with only eight resulting in injury. In 2014, there were six reported attacks with only three injuries. Are the Number of Shark Attacks Increasing? Since 1990 the recorded number of shark attacks has ranged from one to 14. Since World War II, the number of visitors to Hawaii has steadily increased each decade. More visitors mean more people in the water, which increases the possibility of attacks. What Is the Historical Data on Shark Attacks in Hawaii? From 1828 to June 2016 there have been 150 total unprovoked shark attacks in Hawaii. Ten of these were fatal attacks. Are Shark Attacks the Greatest Risk in the Waters of Hawaii? Far more people die each year of drowning than are injured as a result of a shark attack. The waters of Hawaii are very unpredictable. Currents and wave heights vary from day to day. An average of 60 people die each year by drowning in the waters of Hawaii. There are several possible explanations. First, there are 40 species of sharks found in the waters of Hawaii. This is their natural environment. 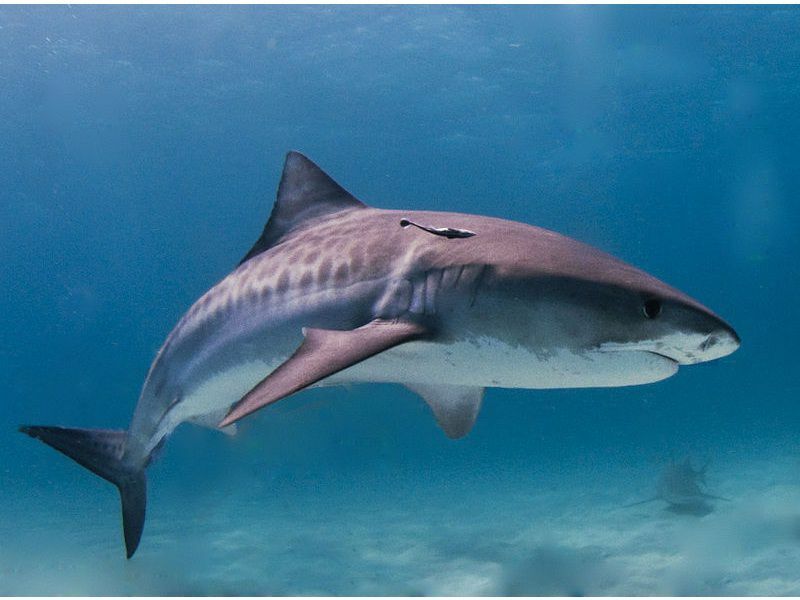 Of these, eight are commonly seen near shore, including the Sandbar, Reef Whitetip, Scalloped Hammerhead, and Tiger Shark. The waters of Hawaii are home to many of the prey of various shark species, such as monk seals, sea turtles and baby humpback whales. Humans are not a natural prey of sharks. It is likely that when an attack occurs, the human is mistaken for another prey. Sharks are also attracted to waters frequented by fishing boats, which often trail fish remains and blood. What Can One Do to Reduce the Risk of Being Attacked by a Shark? Don't swim with bleeding wounds. Don't wear bright jewelry or high contrasting colors. Remove speared fish from the water.